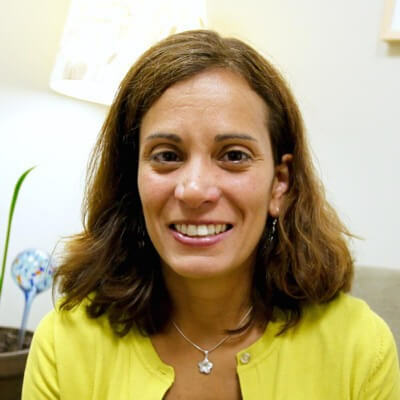 Suzana Gertrudes is a Licensed Independent Clinical Social Worker in Providence, RI specializing in adjustment issues, anxiety, college-related issues, depression, domestic violence, LGBTQ and gender identity challenges, and trauma. She works with adults, young adults, and college students. Suzana is a Rhode Island native. In her spare time, she enjoys spending time with her children and is actively involved in their school's parent-teacher organization. She also enjoy being outdoors and doing activities such running and hiking. "As a therapist, I believe it is important to provide a welcoming and safe environment for my clients. For many clients, making the initial call to schedule an appointment may be very anxiety provoking and out of their comfort zone. I am dedicated to meeting the client where they are at, and giving them a place where they can feel comfortable to heal and grow. I am also Spanish and Portuguese speaking, and am ethnically and culturally sensitive to the needs of clients." I saw Suzana for academic stress, anxiety, break up, health issues, stress levels, and depression. She is a really good listener and remembers to check in on things. She reminds me of things I’ve said in the past to reveal patterns in my mood.